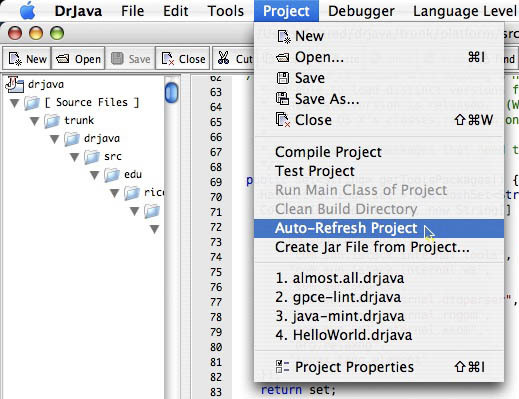 I just used a DrJava feature that I pretty much forgot about: Auto-Refresh Project. It scans the project root for new source files and adds them to the project. It works really well. The feature was implemented under my supervision. How come I can’t find any reference to it in the DrJava documentation?